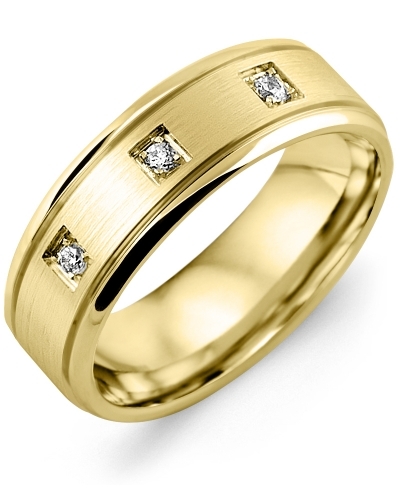 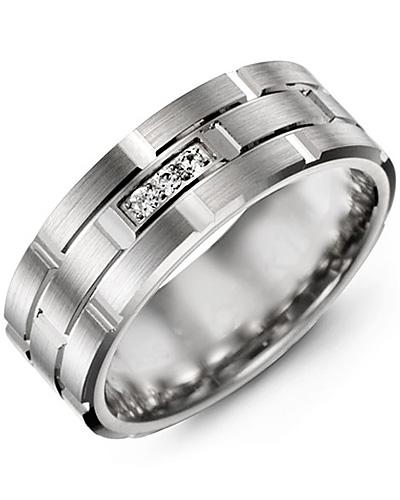 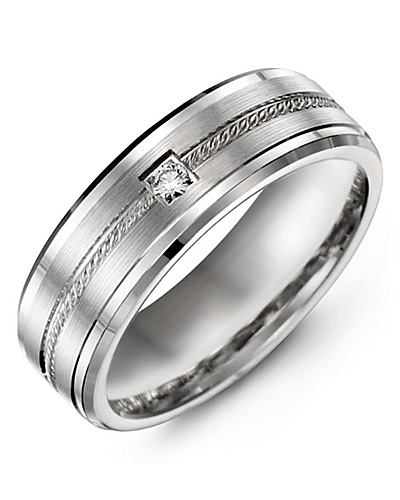 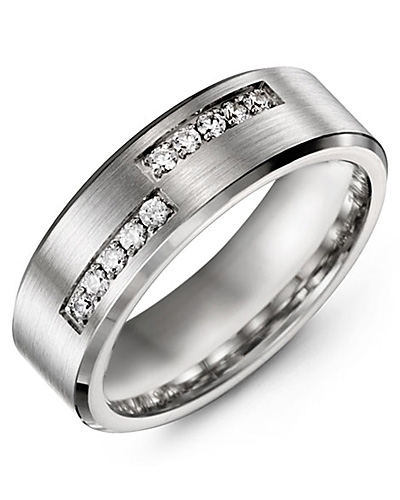 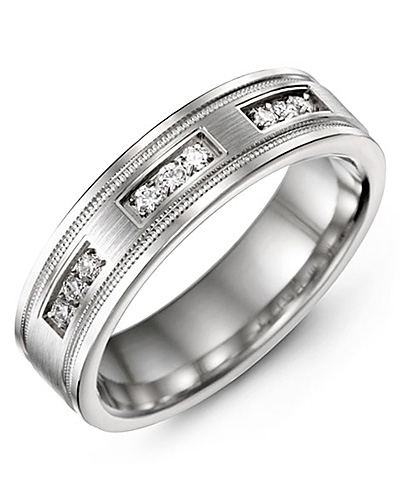 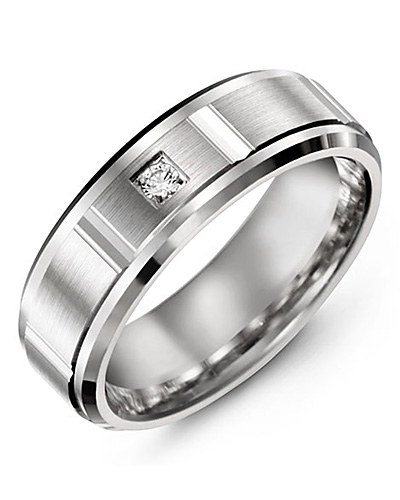 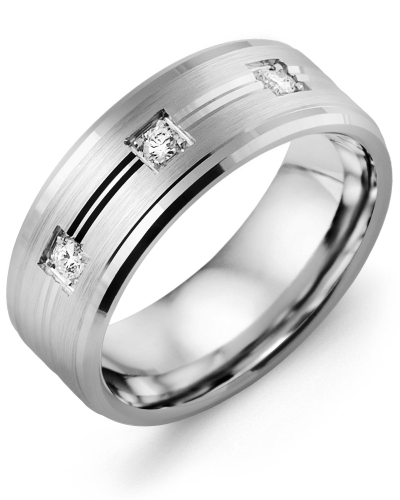 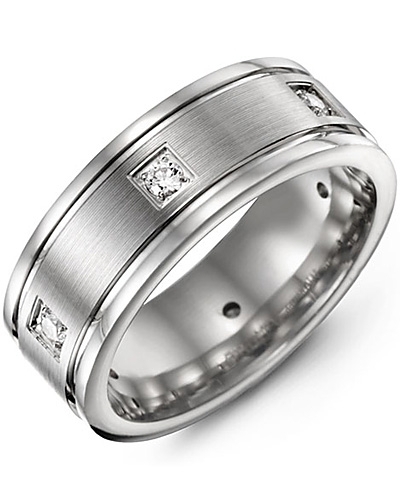 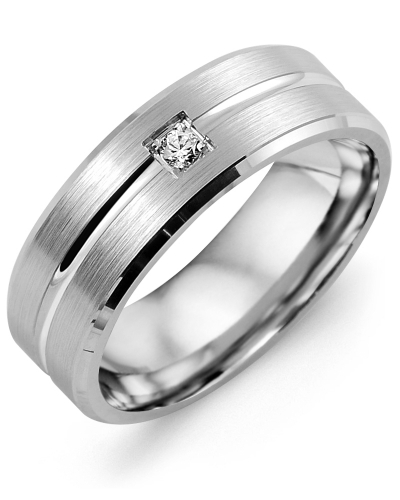 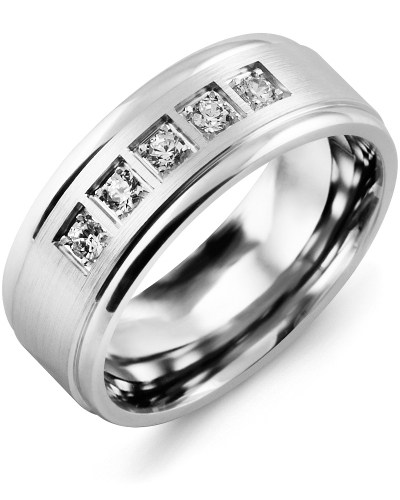 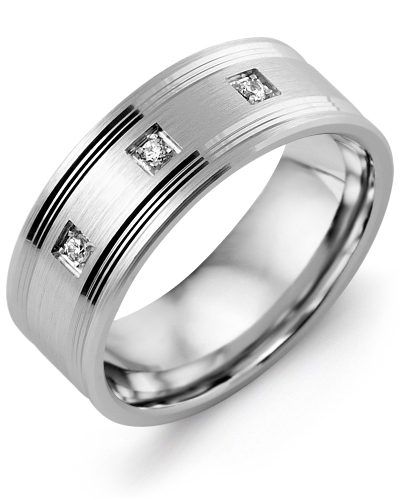 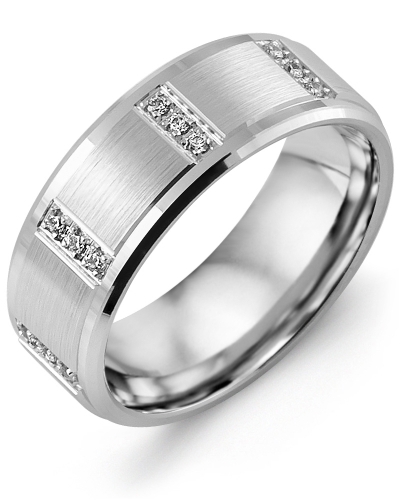 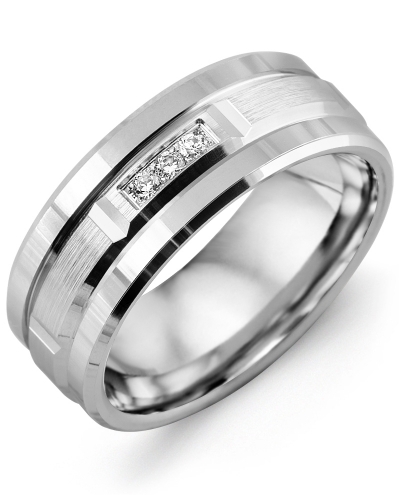 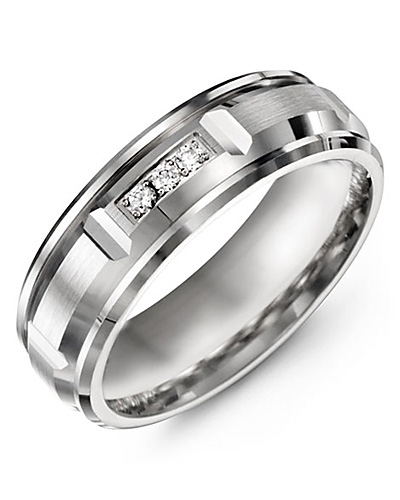 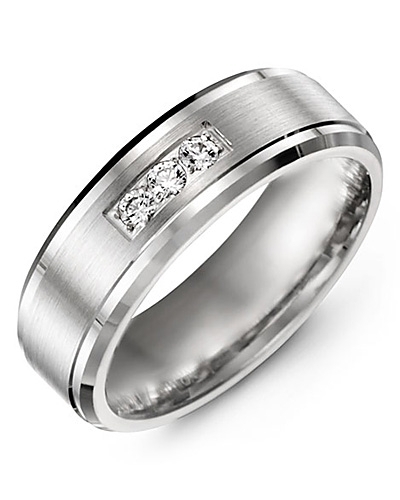 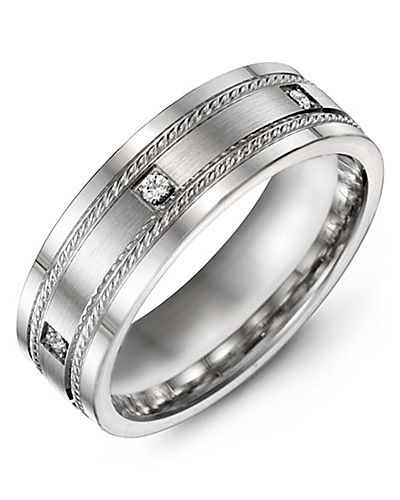 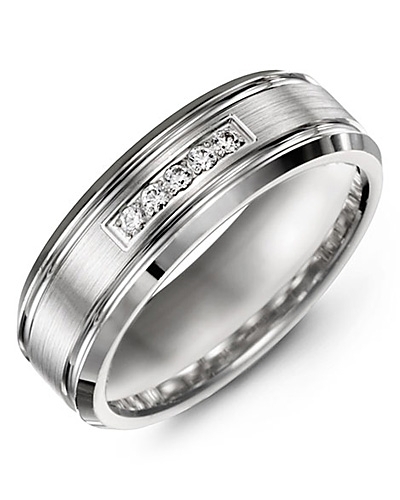 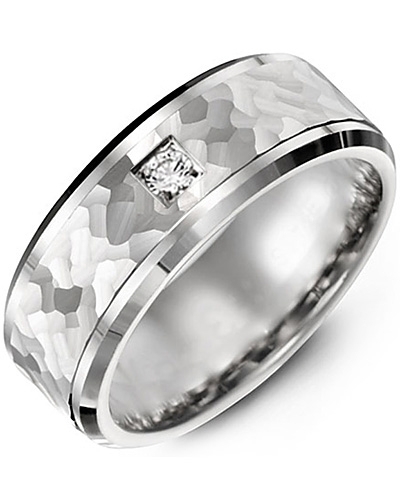 MYE - Brush Spaced Diamonds Polished Edges Gold Wedding Ring A simple yet stylish wedding band for sophisticated brides and grooms, this Brush Spaced Diamonds Polished Edges Gold Wedding Ring coordinates effortlessly with professional, casual and classic attire. 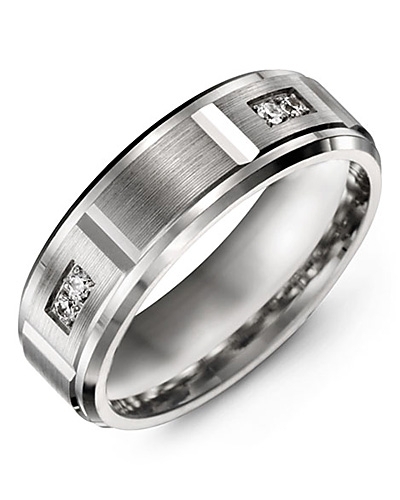 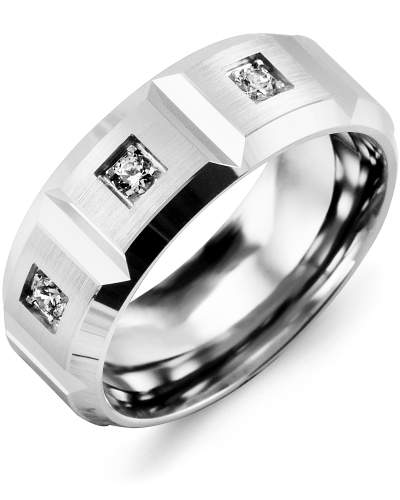 Available in white gold, yellow gold, and 10kt, 14kt and 18kt options, it features high polish edges, brush detailing, and 3 prong set diamonds in a square shape setting totalling 0.09ct. The timeless choice for you wedding day. 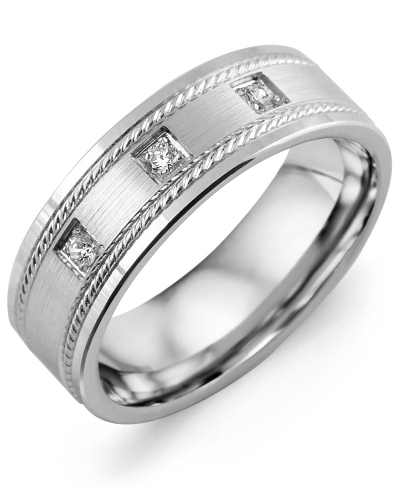 A simple yet stylish wedding band for sophisticated brides and grooms, this Brush Spaced Diamonds Polished Edges Gold Wedding Ring coordinates effortlessly with professional, casual and classic attire. Available in white gold, yellow gold, and 10kt, 14kt and 18kt options, it features high polish edges, brush detailing, and 3 prong set diamonds in a square shape setting totalling 0.09ct. The timeless choice for you wedding day.